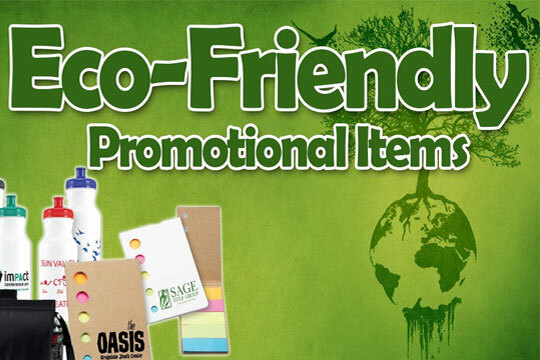 The use of Eco-Friendly products to promote brands becomes the topmost priority for almost all business concerns. As per the study, 89% of the people on this planet prefers to choose environment-friendly products in their lifestyle. Therefore, using this idea to build a brand image can give a great boost to your company. But, if you are confused between the choice of product, remember, these come in a wide range from traditional to modern promotional products range. Clothes in the form of t-shirts, shirts, jackets, and caps are the most popular form of advertisement. On the one side, these are eco-friendly products and on the same side, they fit into almost every company’s budget. Well, while going for clothing option, it is always advisable to choose the clothing color according to the theme of the company. You can also add a company logo or slogan on both sides of your promotional item. But while choosing clothes for business promotion always prefer a 100% cotton product. Recommended for you: The Do’s and Don’ts of SMS Marketing in Retail Business Sector. As everyone spends time in the kitchen, either more or less. Therefore, choosing the kitchen promotional product is an also optimal strategy. In this context, Companies prefers to choose cutting boards and custom bag clips and various kitchen items to give away the products. This will also give a feeling of pride that you are not contributing junk to the world. Coolers are the best item for picnic and trips. People tend to carry them in order to store their food for longer hours during the journey. Coolers are considered as the best items to promote your business too. Remember, always give away coolers to the targeted category only to get the best benefit from this. But, don’t forget to add the company logo or slogan on it. It will not true to say that everyone like wine and beer. So, if you want to choose this item for your brand promotion, then remember, it will be not bad to add a cold drink bottle or some sort of items in the bags. Because from unofficial sampling, the majority of the people like a cold drink. This gift is highly appreciated by users as these are used for the safe storage of bottle. Cotton lies on the topmost priority for everyone because of its renewable and biodegradable characteristics. Therefore, choosing cotton toiletry bags are part of the optimal choice. People tend to carry these bags while going for traveling to store their medicines, snacks packs or other tiny items. As these bags are more durable, so people prefer to carry them for many years. So, every time the user uses your promotional item your brand image tends to pop-up into the user’s mind. These are the specially designed pet mats. So, if you are selling pet food, then it will be best to choose this product to promote your brand. You can give away this gift on various pet show, pet competitions, or via Veterinary Doctors. While choosing this product, always remember a few options that, these cork mat must be perfect for eating, sleeping. These bags come under various shapes and sizes and can be used for different purposes. Basically, people choose them for artisanal shops and grocery stores, so you can make your design accordingly. Because of their good durability feature, they can easily last for 3 to 4 years. This led to a greater and long-term impact on the customer’s mind. Ultimately, your product can benefit in the long run. You may also like: How Data Protection Changes Affect Small Businesses? Hope, the above-mentioned points help you to find out optimal product for your brand promotion. But while choosing a promotional product, always remember the product must be reusable, durable, and of good quality. This will give greater customer satisfaction and companies also get benefit from it in the long run. So, choose promotional products wisely. Good Luck!!! This article is written by Ethan Lee. He is an entrepreneur and marketing specialist at Logpro which is one of the best suppliers of corporate gifts & promotional products. He is a part of the team for developing new marketing solutions for business clients. When he finds time for writing, he loves to share his experiences about creativity, teamwork and related business topics.